This premium grass seed grows quickly and helps to fill in and repair damaged lawns. Mix contains a variety of hardy grass seeds including tall fescue, bluegrass and ryegrass. Available in a variety of sizes. Black Beauty Ultra Grass Seed has different options and/or variations, please choose below. 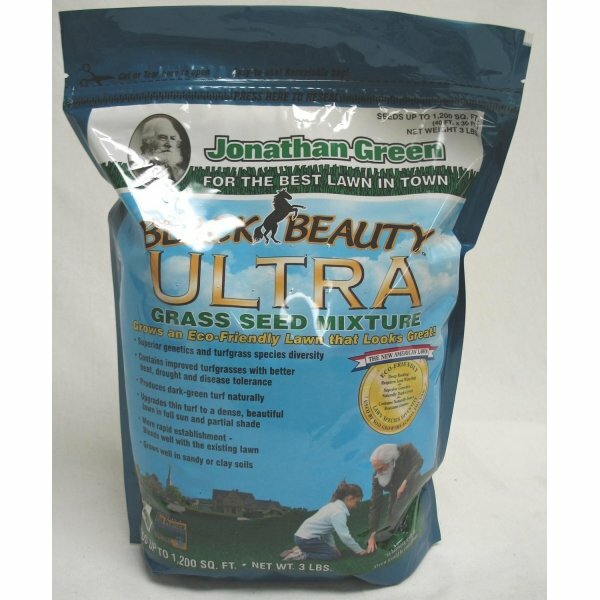 The Black Beauty Ultra Grass Seed is a quick growing seed mix to use on your lawn. Use on bare spots to helps fill in your lawn. Made with a hardy variety of grass seeds like tall fescue, ryegrass, and Kentucky bluegrass. 3-lb. - 1,200 sq. ft.
7-lb. - 2,800 sq. ft.
25-lb. - 10,000 sq. ft.